Apple is planning an all-new research and development center in China, attempting to boost its presence and market share in the country following multiple reports of the iPhone's dwindling returns as users flock towards low-cost alternatives. The R&D center, said "to be built by the end of the year," will mark Apple's first location of its kind in the Asia-Pacific region (via Reuters). 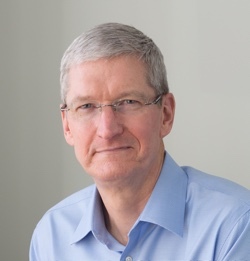 The announcement comes from Apple CEO Tim Cook, on a visit in China this week, who spoke with Vice Premier Zhang Gaoli on Tuesday and detailed the company's plans for the center. Those details weren't specifically disclosed to the public, so it's still unclear where the new R&D center will be located, or how many employees it might house. Apple's new research and development center will be built by the end of the year, Cook told Vice Premier Zhang Gaoli, one of China's most senior officials, according to the official Chinese state broadcaster. The pledge comes after the head of China's industry and technology regulator in May told Cook he hoped Apple could deepen its cooperation with the country in research and development and stressed information security. Cook's August trip marks his second visit to China this year, following a tour of Beijing in May where he met with App Store developers and Didi Chuxing president Jean Liu. Although once Apple's second largest market in the world, the company announced during last month's earnings report that its revenue in China dropped 33 percent year-over-year, ultimately allowing Europe to overtake China as its second biggest market, following the United States. Concern about Apple's future in China stems from the country's heavy focus on potentially invasive foreign products and services, leading to events like the closure of the iTunes and iBooks store earlier in the spring, due to the launch of a controversial dystopian film. Apple has faced lawsuits due to similar occurrences as well, making it hard for the company to focus solely on helping the iPhone gain traction against China's plentiful low-cost smartphone options. Some companies never learn. Perhaps Apple should ask Cisco, IBM and many others how their ventures in China played out. Huawei didn't even bother to take Cisco copyright comments out of the Cisco code before they used it. China and India are playing Cook like a violin, getting him to continue to build job (and tech info) sources in their countries, letting him hope that they'll grant Apple some meaningful favors in return. As an consumer outside of China, I do not see this as a good thing. Unless Apple starts a clothing line. with all the corporate sabotage and stealing, why build r&d there? honest question. Is this R&D genuine or is it a masked bribe? What I'm not understanding here is "iPhone's dwindling returns as users flock towards low-cost alternatives ('https://www.macrumors.com/2016/08/15/chinas-iphone-sales-dip/')." surely they do not need a R&D department to tell them cheaper bang for buck product is what the consumer over there is demanding? They build the phones and other hardware, why not have them design it too? Then we fire all these silly American workers. Tim know nothing in Chinese , know nothing in Chinese government. They are only know how to cheat / steal , enjoying obey the rules and law and lacking in morals. btw : i am a 'HongKongers' , we know the dirty of China more than anyone do.